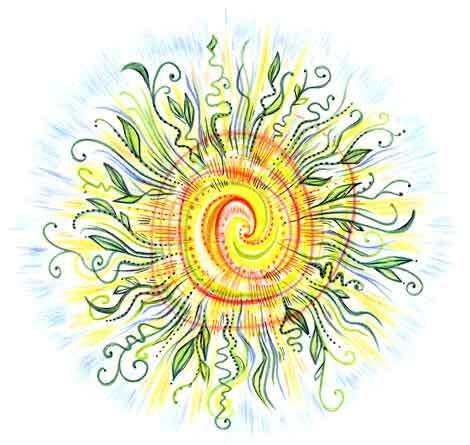 The summer solstice - another shift of time, change of season. A time to honor the earth and to celebrate with joy and respect. A time when herbs are most potent and for which stone circles have been built through the ages. Create with whatever medium speaks to or through you. Orange Honey Butter – 2 Tablespoons grated orange zest, 3 Tablespoons confectioner’s sugar, ½ cup unsalted butter, softened, 1 – 2 Tablespoons honey, Combine ingredients and chill until ready to eat. Yum!